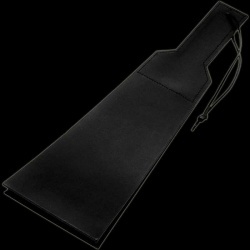 Flogger (Fur Handle End) by Fetish Company Beautifull whip made of very flexible and soft leather, but watch out! This friendly looking whip can be very cruel! 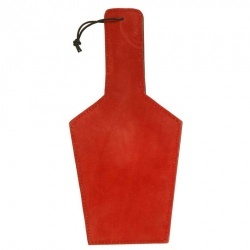 Beautifully detailed hand-braided leather handle with 6 wide threads and soft fur handle. Length: 600 mmWeight: 30–40g. 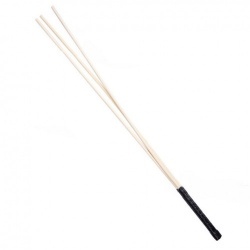 Eight Rattan Cane with Pink Grip by Mae-toys A bundle of 6 mm thin reed-rods make a serious plaything. Our Natural Rattan Canes are naturally finished. 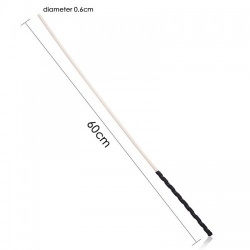 Total length is 23.5 inches / 60 cm. 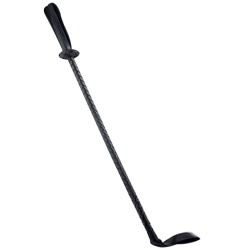 The cane has a firm grip handle wrapped in faux leather with a lanyard attached. Whips are available in all kinds of sizes and of course qualities. The most popular whips are the leather whips (floggers) with a number of leather strings attached to a handle. Easy to handle and often affortable. 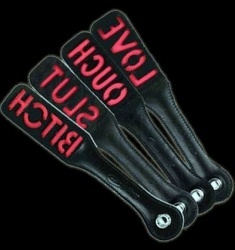 Floggers are available in all price ranges. 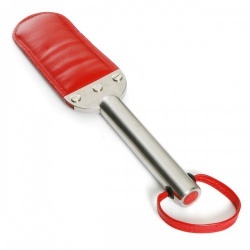 From very simple to the famous Russian Floggers where you soon have to count down several hundred euros. But then you also have a masterpiece of handcrafted work that is predictable, does exactly what you want, without the processing of cheaper (waste) leather strings. A pleasure to work with and a beautifull design. If you go a little further than the standard work, you will soon end up in the category Paddles, riding crops, Canes and Bullwhips. Paddles are fun to use. Spanking as with the bare hand only with a leather paddle. Sometimes paddles are made of wood or thick rubber (ouch! 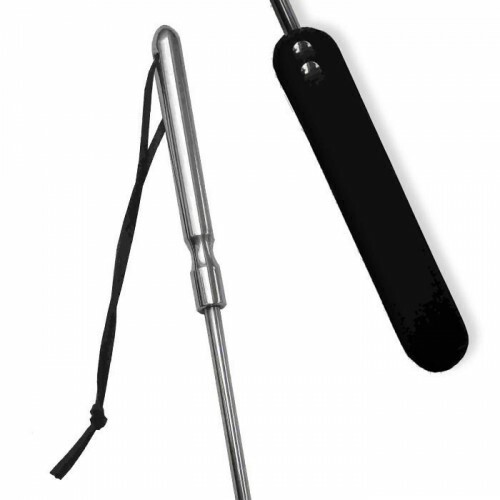 ), Easy to handle and dosing. 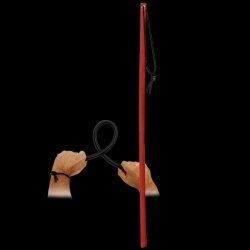 A Bullwhip is usually between 60 and 200 cm. 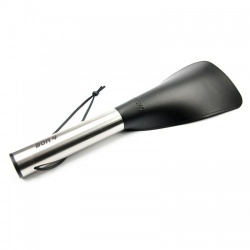 The longer Bullwhips are difficult to handle and require good training and much practice. Canes are made from bamboo, rattan or wood. Bamboo canes can splinter just like wood and not always safe. Rattan canes are more advisable. 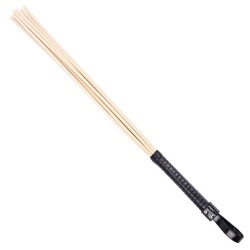 If you doubt whether it is rattan or bamboo, you have to bend the cane complete (to a C). Rattan will not break, bamboo will break. 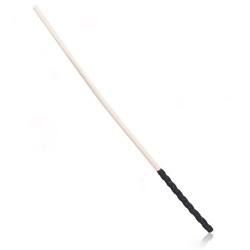 A riding crop has a dominant appearance, for example 'the strict teacher' and usually has less impact. Striking with a riding crop, often has a corrective effect. For the right advice, come to our store in Waalre where we can show you our huge collection of whips (or let you feel, haha). Expert advice is also possible via our live chat, e-mail or telephone. Be well informed before making a choice.